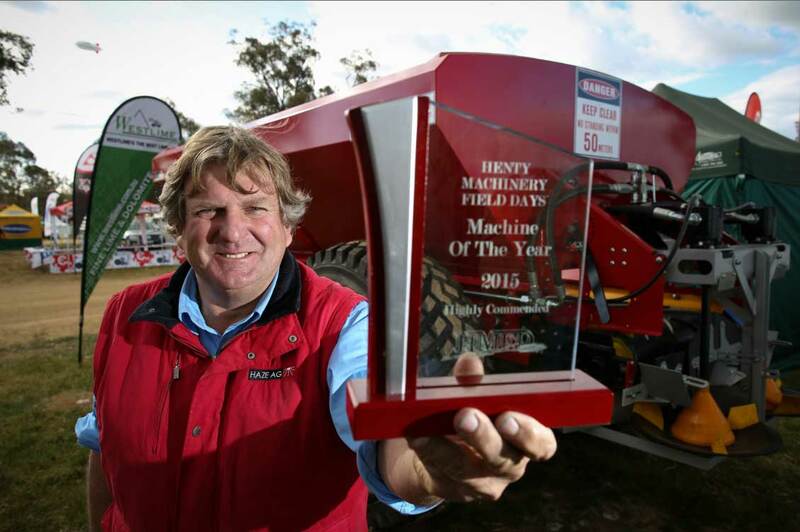 The Haze Ag spreader will now be manufactured and marketed by Coolamon Steel that is owned by Bruce Hutcheon. We realized that due to high demand and need to move to the next level we and with little capital to set up a factory from scratch and being very keen to stay in regional NSW we accepted an offer from Coolamon Stee. They are based in Coolamon a small town, close to Wagga Wagga in the Northern Riverina that is expanding with a great community giving employment to young people. We would like to make a special tribute/mention to Brendan Lawry of BJ Welding in Cudal who helped me build my first spreader at the farm with all the pitfalls and trials and to the level that we finally achieved. Without Brendan’s expertise and patience, we could never have undergone any R&D and the Haze Ag spreaders would never have made to the marketplace. The spreader was built to a top performing world standard in Cudal and will continue to do so under the new colours of Coolamon Steel. Haze Ag’s main focus will be to continue with our advance research with further spread testing, lowering the CV line parallel spreading and improving efficiency. Bruce Hutcheon, Coolamon Chaser Bins now has the manufacturing rights to the patented Haze Ag spreader developed by Richard Hazelton. ‘It’s taken 10 years to get the spreader where I want it, but I’m very happy with the final result. The beauty of it is you can spread everything from urea to chicken and feedlot manure – all the granulated products. No other spreader in the world has variable sized cones to affect the timing of the products as they are dispersed from the disc. To find out more about the superior performance of Haze Ag spreaders, or to discuss a custom spreader, give us a call on +61 0428 642003. Or get in touch via our contact form. We look forward to hearing from you.